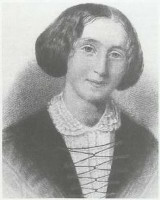 George Eliot 22 November 1819 22 December 1880 English Robert Evans Christiana Evans Novelist, Translator English novelist, poet, journalist, translator and of the leadind writers of the Victorian era. She is the author of the seven novels and most of them set in provincial England and known for their realism and psychological insight. A list of popular Hindi George Eliot quotes are given below.